If we can choke off the funds that can be spent on buying ads on such platforms, we would then have some amount of control on our elections. With the elections in the offing, different groups – the Free Software Movement of India, Association for Democratic Reforms, Common Cause, etc. – have raised a key issue: how to stop the Indian elections from being distorted by big digital platforms and the enormous influence they exercise over us today. And as “influence” on these platforms can be bought, will Indian elections, already plagued by money power, suffer even further? Added to this, is the enormous ecosystem of fake news, which the BJP, the RSS and its “parivar” have built over the last few years. Along with the old rumour mills for spreading riots and hate, new ones have now been added which also threaten our democracy. What is different about the digital platforms, as distinct from other forms of mass media? There are two major ways that the digital platforms differ from the existing mass media. There are some basic restrictions that can be exercised on the existing mass media, such as newspapers and television, during elections: these mass media platforms had to declare what was an advertisement and what was paid news. Therefore, they could be policed more easily. The second regulation was that the Election Commission could institute rules which the mass media had to follow, such as provide equitable access to political parties in terms of air time, etc. Let us understand how advertisements work for selling goods, and then treat the elections as ad agencies would do: “selling” parties and candidates. For the old-fashioned mass media – print and television – whose primary revenue is from advertisements, selling ads to consumers was more in the nature of a scattergun approach. They did not know who were reading what items, or viewing what programs on television. At best, they would think of the sports page with a certain kind of reader, as distinct from say, the fashion page. This kind of distinction – or demography of the reader/viewer – was a very broad one. What Google or Facebook do, is that they know the individual reader/viewer much better, and can send precise information on goods she might be thinking of buying. This is what in the ad world is called micro targeting. It is much more effective as a strategy for advertising. 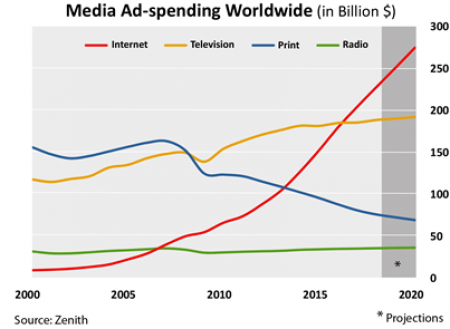 That is why digital platforms today generate more ad revenue than any other form of media, and are slated to be more than all the others combined by 2025! In India, just Google and Facebook are expected to be worth 2 billion dollars, or about 20 per cent in revenue in 2018, out of a total market of 10.4 billion dollars. And these are just two companies as against the total ad revenue of all the print media (newspapers and magazines), TV, radio, cinema and outdoor billboards! Why does the rise of digital platforms threaten our elections? One is the sheer money power that can be exercised through the use of digital platforms. The digital “space” in which such advertising can be done is virtually unlimited – the number of Facebook pages, YouTube videos, websites and web pages, etc. The second is the number of new ways advertising can be done in. 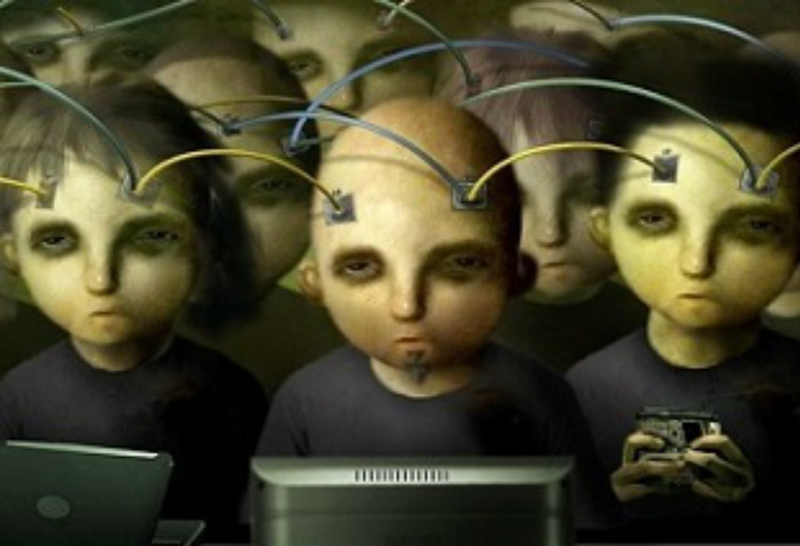 There is not only micro-targeting of the “viewers”, but also myriads of ways in which they can be targeted. They can limit or increase the number of your followers who will be able to see your “posts” on Facebook timeline, add or limit new followers, decide how much prominence is to be given to your posts, and so on. This is where the BJP has made the elections even more difficult for its opponents and where the Election Commission has faltered. In the current rules of the electoral game, while the election spend per candidate is monitored and restricted, the parties themselves have no such limits. The BJP with its election bonds – a scheme of legalising corruption – has made sure that it has a much bigger war chest in these elections than any other party: it has received over 95 per cent of the proceeds of the election bonds. It also uses a number of companies and fronts to hide its election spending, some of which are not even in India. They are all supposedly non-resident “Friends of BJP” and Modi bhakts (sycophants) under multiple banners elsewhere, who are also adding to the Indian campaign. How do we bring all this under the scanner? How do we restrict these multiple ways of buying ads? And finally, the urgent need for the elections to impose limits on the amount a party can spend on elections, not just for limits on or for a candidate as the rules currently stand. These are the burning questions before us today, if we want a relatively fair elections free from money power. The task for the technical community – as we have discussed earlier in these columns – is to make sense of the new world that digital technologies are creating: from the new media to artificial intelligence. From production to consumption, the world is changing. How do we rework our social goals of a more equal and a just society: this is not the task of only social and political activists, but also of tech activists. They also need to join this larger struggle. How to keep elections fair and keep out money power from distorting the elections is very much a part of this larger struggle.